The newly developed 615 Third Building is now home to R.C. 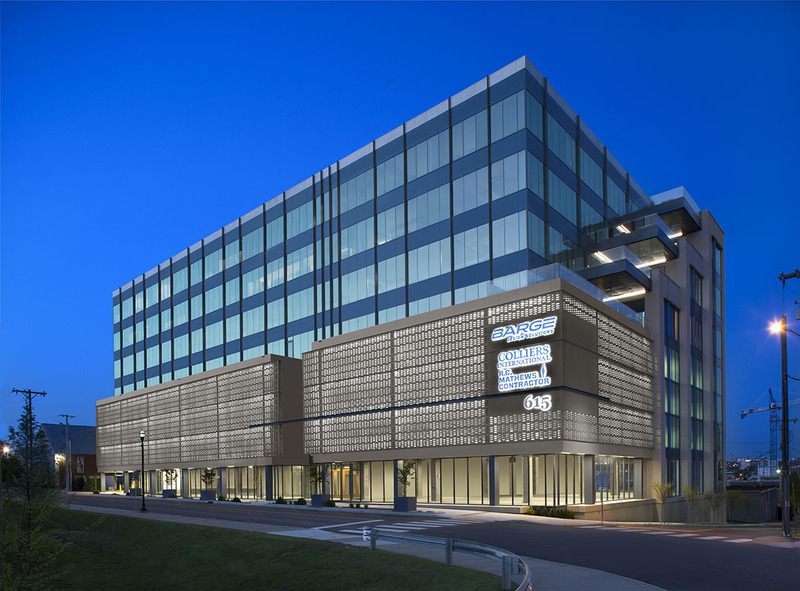 Mathews Contractor, Barge Design Solutions, Colliers International | Nashville, The Mathews Company and future tenants to be leased. R.C. Mathews Contractor completed all work for the core and shell of the building, designed by Tuck Hinton Architects, as well as the interior build-outs for Barge Design Solutions (designed by Sorci and Swords) and R.C. Mathews Contractor, Colliers and The Mathews Company (designed by STG Design). Each floor boasts spectacular downtown views from staggered outdoor patios, along with a focus on sustainability with a large green roof and energy efficient features.